Mountainside hostels, many private inns and Airbnbs invite families to enjoy snow sports in cheap, comfortable, spotless and private facilities at new style ski hostels. Vail Resorts on a blue sky day makes it all worthwhile; especially if you’re sleeping for under $50 a night. Photo c. Hostelworld. 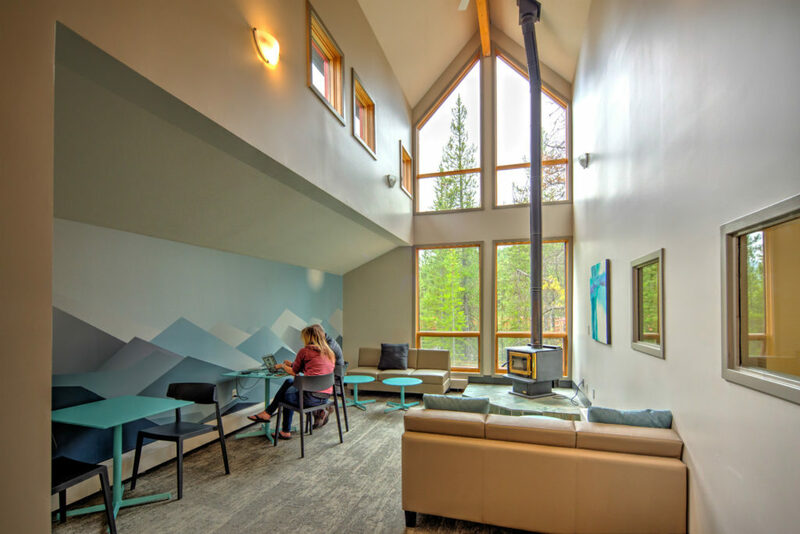 Hostelling has come a long way from your youthful backpacking days; in fact, many refer to young travelers sporting rolling suitcases, iPhones and tablets as “flashpackers” because of their aversion to truly spartan accommodations. Today, some of the non-profit groups dedicated to fostering a sense of community among youthful travelers have spruced up their lounges with flat panel TVs, added cybercafes and capuccino makers, and put in large double rooms with ensuite bathing facilities. Extended families have other options with surprisingly low rates, especially midweek at the smaller resort areas, by searching for condo rentals and Airbnbs with multiple bedrooms, so the rental costs can be shared. 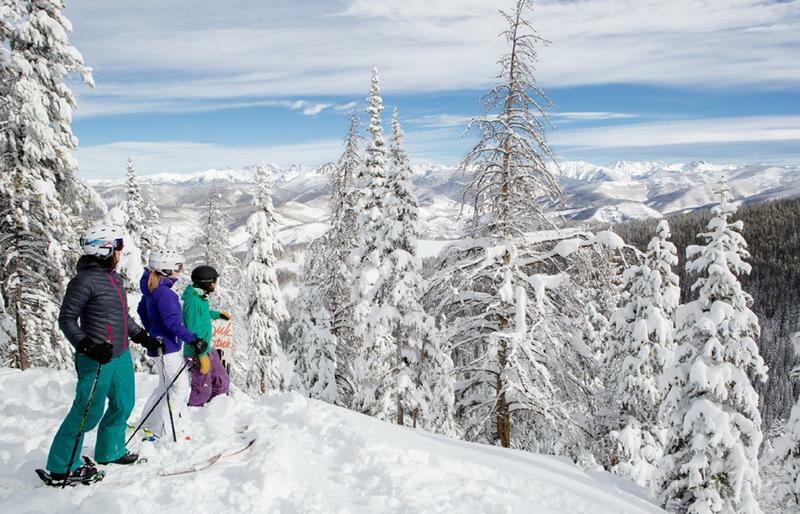 Here are some favorite options for those who want to invest in snowsports lessons, not lodging. Hostelling International USA (HIUSA) is the leading non-profit hostel organization, and they have specially designated Ski Hostels open for guests all winter long. They should not be confused with the spartan dorms that many mountain resorts maintain for local school groups and visiting college teams, most of which are closed to the general public. Instead, we’re talking about clean and cheerful youth hostels located close to skiing and snowboarding hot spots like Yosemite National Park, California; Park Rapids, Minnesota; Mont Tremblant, Quebec and White River Junction, Vermont. HIUSA’s ski hostels in North America cater to all ages and provide inexpensive, quality accommodations ranging in price from around $20 to $55 per person, per night. 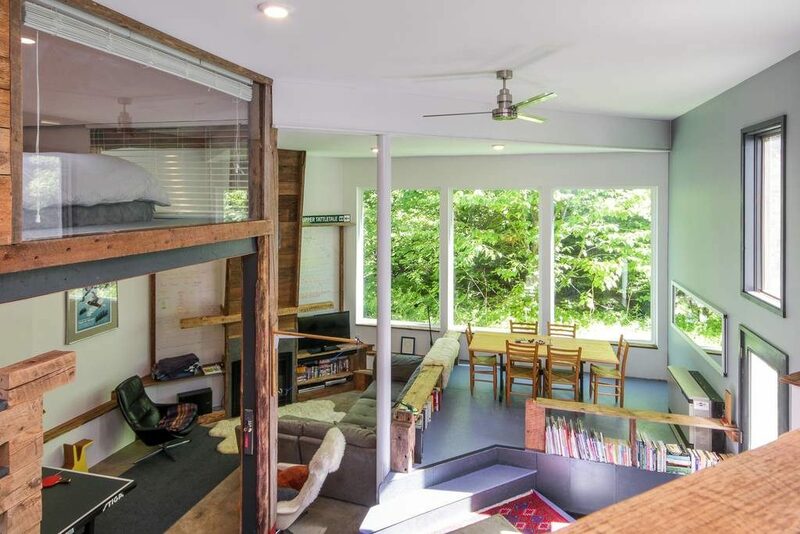 While Airbnb doesn’t offer dorm accommodations per se, they have many huge ski houses where you can pack in several families and relive your college days — another great way to save. You can use the money you save on lodging for a much-deserved massage! 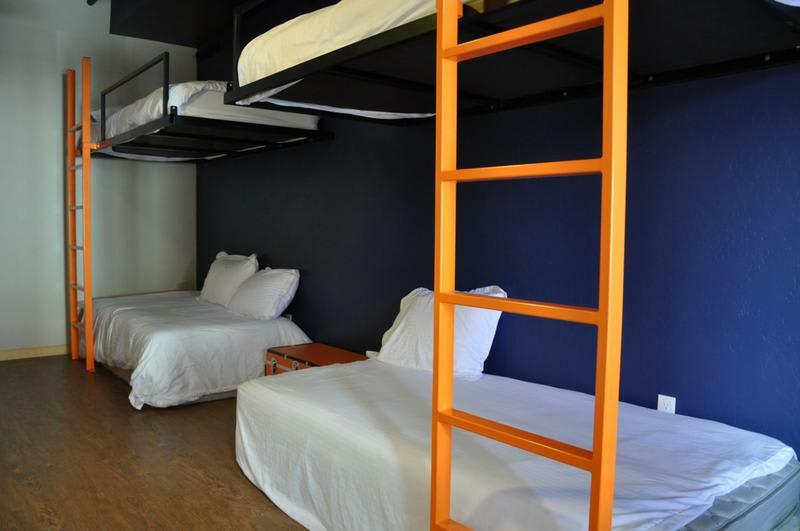 What can you expect from a hostel or dorm room? At hostels or small B&Bs and dorms, family facilities and amenities will vary by location. Some offer ice skating, a cozy bar, and a warm bed from under US$20 per bed per night. Some hostels have family rooms or small dorm rooms where a family can achieve privacy by booking all the available beds, similar to what you would get in a B&B. Bathroom facilities at hostels are typically shared; a public laundry room and kitchen facilities are available at most every one. The dorm facilities in private B&Bs are similar, though a hot breakfast is usually included in rates. Reservations for these locations are harder to come by in the months leading up to winter, so check on bed/room availability as soon as you know your travel plans. Airbnb has hundreds of listings — many private homes or condos — so be sure to check what’s available there, and get in touch with owners to verify the proximity to your ski area of choice. All of the major HIUSA, Hostelworld and HI Canada ski hostels (some open in summer for mountain biking and hiking, too) are listed below along with the major downhill and cross-country ski areas located less than two-hours’ drive or shuttle bus away. Here are some of the best mountain lodgings that accommodate families and small groups with low cost housing options and often, ways to purchase lift tickets at a discount. Nearest Ski Areas: Glacier National Park for cross country skiing. Tremblant for cross country and alpine skiing. Lake Morey Resort for cross-country skiing. Please add any ski hostels and cheap lodges you find on your travels to the Comments section below. Happy Trails! If you are looking into hostels and you are a family, call the hostel to get a sense of the character of the place. We went to a hostel once with our elementary age kids(not in a ski area) and it was filled with young 20 somethings and teens having lots of fun – smoking pot in the parking lot, partying, etc. Even though some hostels have family rooms, if the place is full of kids it can be uncomfortable. Some hostels do have older visitors and more families, so it pays to ask. hi im after going to see the snow this year and ski but we are on a tight budget any ideas of place and accomidation and ski hire???? Alex – you can use this story to see the hostels that are located close to ski resorts. To sleep in them would be about $15-$20 per person per night. You can't get much cheaper, and many have their own kitchens where you can prepare meals. Most of the small, local ski areas have cheaper lessons and lift tickets. Where are you living, maybe we can suggest a place near your family?